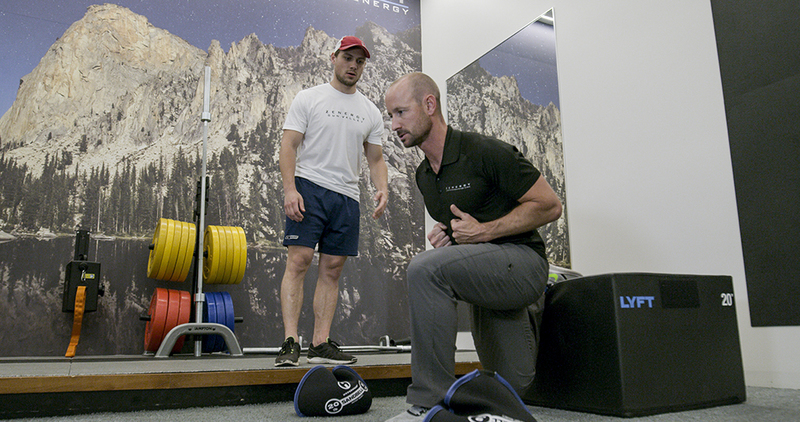 Kyle Sela, sports medicine and strength coach trainer at Sun Valley, Idaho’s Zenergy Health Club, has a doctorate in physical therapy and earned a board certification in orthopedic physical therapy when he was in the Army. While serving, he also became a certified strength and conditioning specialist. And because he’s either a glutton for punishment or addicted to learning, after serving, Kyle went to Duke University to earn another board certification as a sports medicine specialist. In essence, Kyle Sela, PhD, OCS, CSCS, SCS, has a veritable alphabet soup after his name. 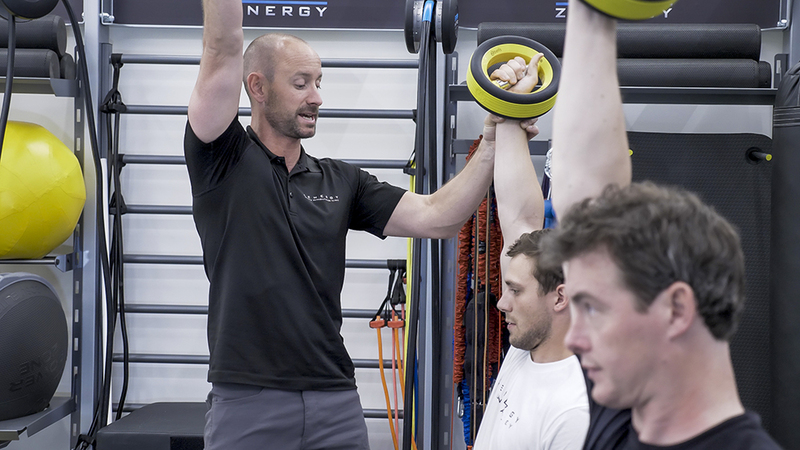 That alphabet soup is good news for athletes who come from all over the world to train at Zenergy, one of the premier training facilities in the Mountain West. Kyle has worked with Rebecca Rusch (professional mountain biker and former adventure racer, AKA “Queen of Pain”), Chase Josey (Olympic snowboarder, 2018), and Kristin Armstrong (Olympic gold-winning cyclist). With our attention fully on winter fitness and endless powder turns, we caught up with Kyle to find out about his training approach. BigLife: How has your experience in the military influenced the way you approach physical therapy and training? Kyle Sela: The Army was an incredible opportunity for me. As a military therapist, I was typically the first person to see a soldier for an injury, and I was able to order studies like x-rays, MRIs, and bone scans as well as prescribe some medications. When I was assigned to a Brigade Combat Team during a deployment to Iraq, my role was to be the orthopedic expert for the 5,000 or so men and women assigned to our unit. I also developed injury prevention and fitness programs to maximize unit readiness. I was given a ton of responsibility very quickly, which made me “grow up” as a provider right away. At my last duty station, I was able to work with the Army Rangers and this is when I started to get serious about learning more about training, programming, and crossing over from physical therapist to strength and conditioning coach. We call it bridging the gap from rehab to performance and I knew this is where I wanted to become an expert. BL: What is the vision for Zenergy when it comes to being a destination for premier athletes for training? KS: Zenergy has tremendous potential as a destination rehab and training facility. Obviously, the facility, setting, and location is world-class. 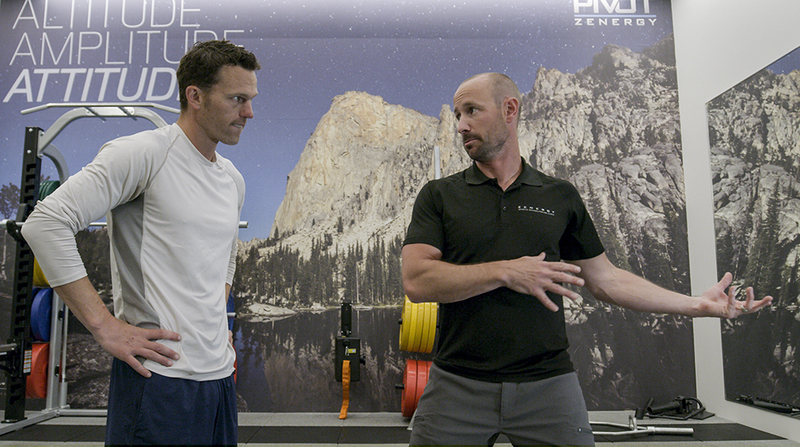 With our new Pivot facility, we are set up well to work on strength and conditioning for premier athletes as well as for the fitness-focused people you see in a mountain town. 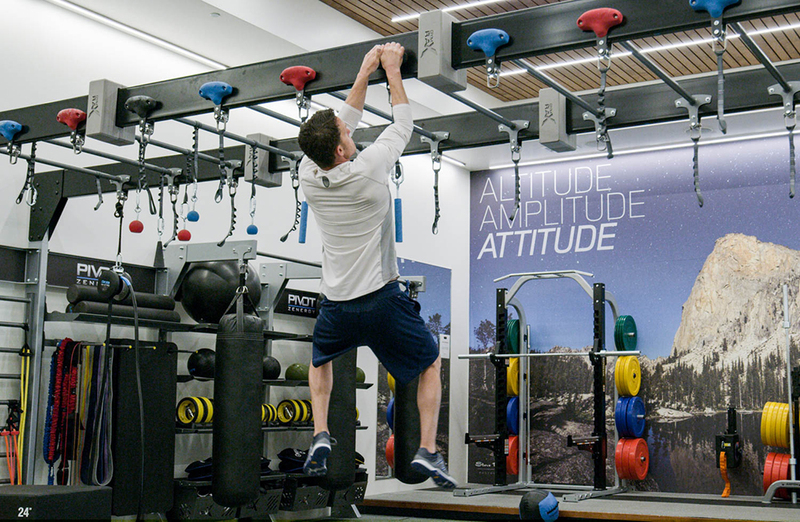 We can now offer the athlete a multidisciplinary training environment with incredible recovery options too. 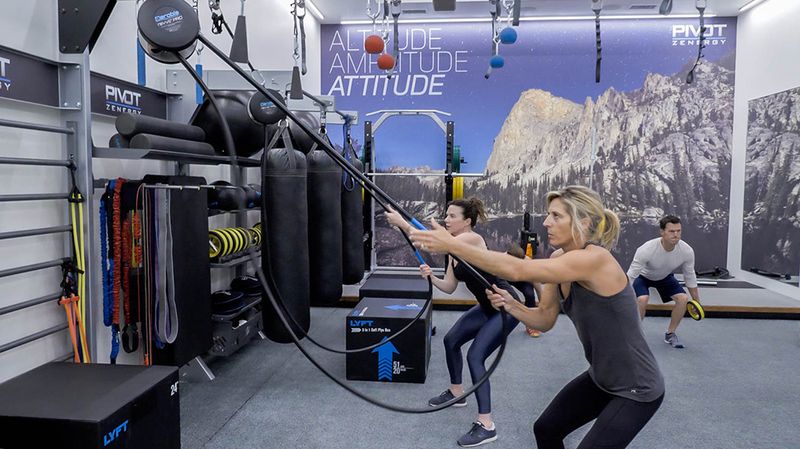 Just think of the training week at Zenergy: strength and conditioning, Pilates, yoga, and aquatics followed up with incredible recovery services at the spa. 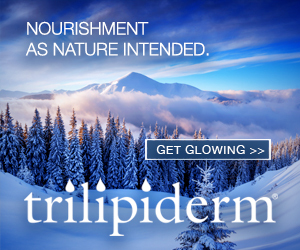 BL: Describe a few of your favorite exercises for getting fit for ski season. • Plyometric (think quickly rebounding off the ground) movements in a variety of directions. • A variety of lunges and squats with a quad emphasis by elevating the heels or loading with weight from the front to increase the load on knees. • A few more awkward exercises like a curtsy lunge where the knees and hips are put under unusual twisting loads to expose their ligaments and tendons to some situations they might end up in on the hill. If someone has not maintained any type of strength since last winter then we are working on establishing great patterns through fundamental movements and then trying to just get strong in those movements. Sports-specific training on top of a crappy strength foundation is like taking supplements while eating a diet of fast food. BL: You helped pro cyclist Kristin Armstrong win her third Olympic gold medal as her physical therapist and strength coach. What were some of the most memorable takeaways from that experience? KS: It was amazing to be part of a big team preparing her to accomplish an incredible feat. I thought I was going to be programming to improve her strength and power that would translate to the bike, but what I quickly found was that I needed to work on her weaknesses from prior injuries to create a more resilient body that could handle the demands of extremely grueling training on the bike. This gets back to the sport-specific training we were talking about earlier. The increased power on her bike was primarily going to be developed on her bike by her coach’s programming. But that could only happen if she could stay healthy enough to sustain those efforts. Finally, I found a new appreciation for what mental toughness is. Kristin did not have a smooth road leading up to Rio. When she started training with me, she was pretty weak from multiple hip surgeries. Then, what most people still don’t know, is that she had to have back surgery in December and quickly rehab from that to get back into training. People were questioning whether she deserved to be on the team. Talk about pressure. And what does she do? She goes out and removes all doubt by winning her third gold the day before her 43rd birthday. To go through all that, to hold up under that amount of pressure, that is serious mental toughness and fortitude. BL: What are some of the most common mistakes you see when it comes to injury prevention and recovery? KS: That’s easy…overtraining. I think something is in the water up here. Nobody wants to take a day off. Our bodies demand rest. We get stronger, fitter, and healthier during our recovery, not during the workout. Your training is a stimulus that you are deploying to create an adaptation. If you never give your body time to adapt and recover, you will break down and get injured, sick, or start seeing your performance measures decline. You can’t just beat yourself up day after day and expect to keep improving. Especially if you beat yourself up in a similar way every time you ride, run, or train. You need a variety of intensities, durations, and frequencies in your training. Your recovery needs to consider the gamut of proper nutrition, sleep, mental health, and soft tissue and joint care.